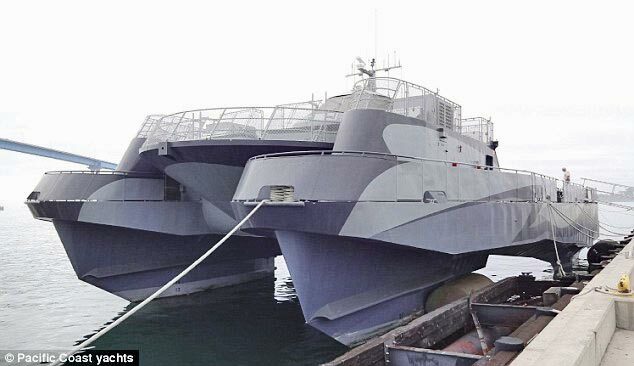 With an original price tag of $15 million, a 105-foot experimental Navy vessel, built in 1996 by Lockheed Martin, is currently being offered for $180,000 by Pacific Coast Yachts in San Diego. With a beefy pair of MTU diesels, Sea Slice has a top speed of 30 knots, getting you and your guests from San Diego to Avalon in a little over two hours. The catamaran is based on a SWATH (Small Water Plane Area Twin Hull) design, which minimizes the ship’s volume near the sea surface, adding stability to the vessel at high speeds. Keep your credit in good standing, as the fuel tanks hold 11,112 gallons of diesel — about $30,000 to top her off. The vessel sleeps up to 12 guests but only has one head. There is also a galley with a refrigerator and a microwave oven. This is a once-in-a-lifetime opportunity and a bargain considering the 98.9 percent discount from the original cost to build.